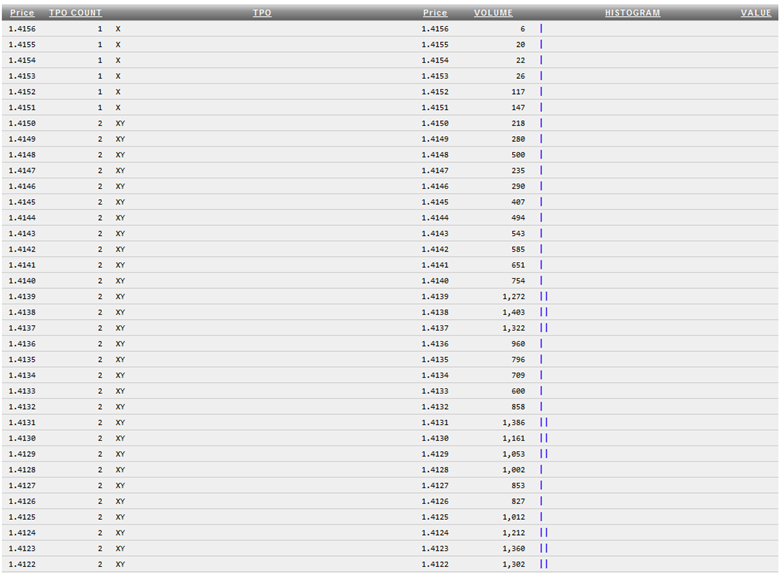 The image below is the chart of Euro currency futures contract ( CME Ticker Symbol: 6E ). The euro currency is accepted in 16 European countries. They are Austria, Belgium, Cyprus, Finland, France, Greece, Germany, Ireland, Italy, Luxembourg, Malta, Netherlands, Portugal, Slovakia, Slovenia, and Spain. 329 million EU citizens are using the euro banknotes and coins. The euro replaced their former national currency. The euro is the second largest reserve currency in the world, after the US dollar. Around 25% of the worldwide reserves are held in euro. 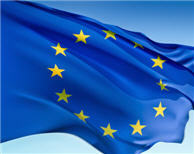 The 'euro area' is the official term for the group of EU Member States that have adopted the euro as their currency. The currency symbol for the euro is €. The most widely circulated coins are 5c, 10c, 20c, 50c, €1, and €2. 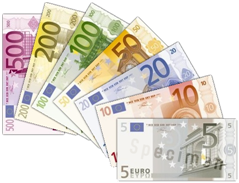 The most widely circulated banknotes are €5, €10, €20, and €50. The European Central Bank is the central bank for the Euro Area. Currently, there are strong disagreements on monetary policies for the euro between Germany and 5 other member nations (Portugal, Ireland, Italy, Greece and Spain). Germany is focused on inflation while Portugal, Ireland, Italy, Greece and Spain are more concerned with the rising unemployment.